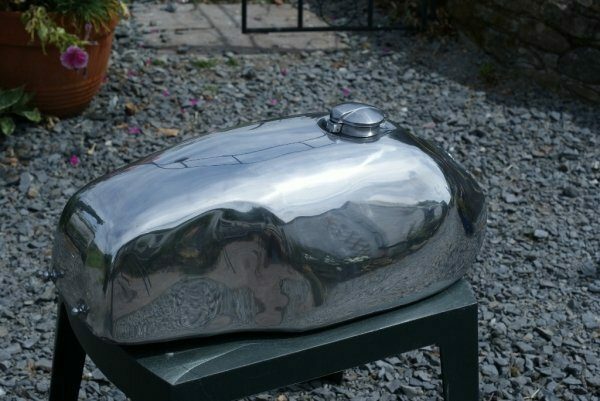 Ducati 900SS Style Alloy Fuel Tank. 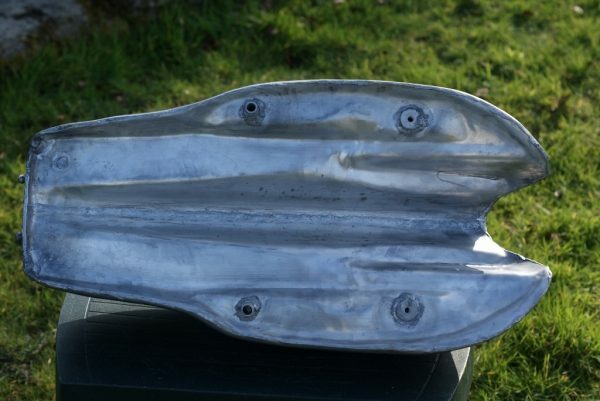 This is our copy of the wonderful OEM 900SS Bevel tank. The tank mounts using 2 M8 threaded inserts at the front and at the rear we weld on 2 "buttons" for use with rubber band. The tank comes complete with 2 M16 tap bosses. Please note, this tank has a standard Monza cap rather than the stock Ducati cap. This price includes a full polish to a mirror finish, 2 M16 tap bosses, and a 2.5" Monza cap. 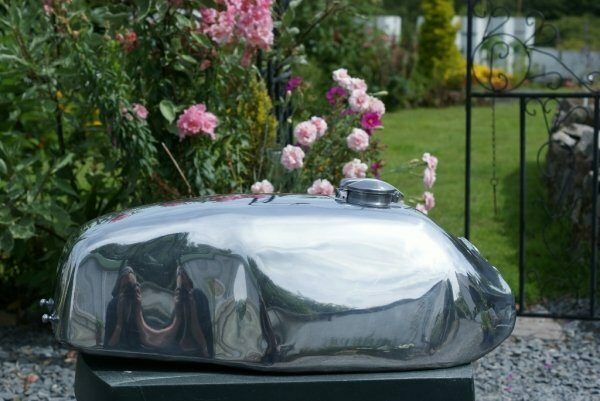 All our fuel tanks are handmade to order from aluminium sheet using time honoured techniques. This means that no two tanks we make are actually the same, making each and every TAB tank unique. We often have items available for instant purchase and dispatch via the Buy Now! section of our website. Click below to see what we have for instant purchase.